Looking at all the wonderful faces here today reminds me of the great work that’s been done this year… by cosmetic surgeons. Gervais is the master of snark, and doesn't let a singular person in Hollywood get away with anything. (Once during his time as Golden Globes host he referred to Bruce Willis as "Ashton Kutcher's dad." Another time he stated that he could out drink any man at the awards show, unless that man was Mel Gibson.) For some it's a refreshing way to poke fun at an awards show that tends to celebrate the highbrow. For others (like, say Mel Gibson) it's a little less fun. Gervais pushes the envelope with his comedy, and that sometimes includes jokes that put the audience on edge. (No one really wants to hear a Holocaust joke at the Golden Globes, or, like, ever.) But perhaps that's what we need to expect from Gervais: his humor comes with a "sorry not sorry" attitude. 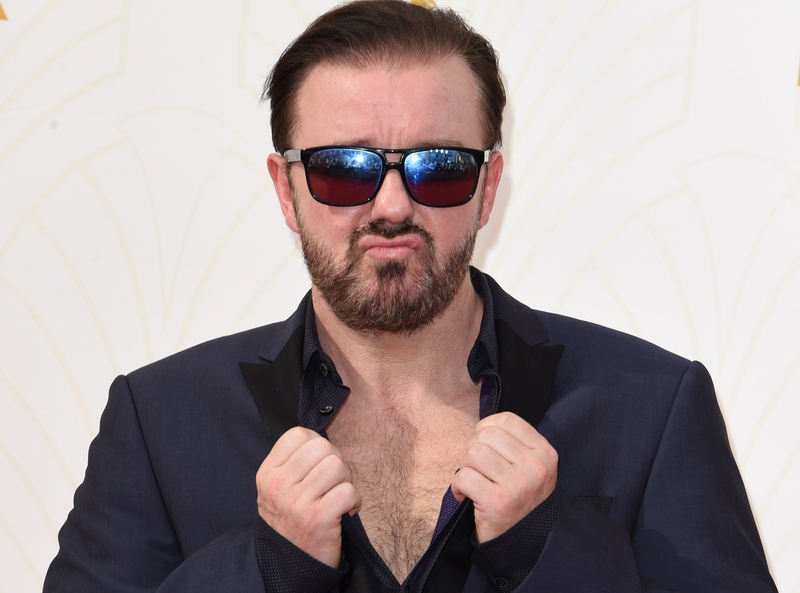 If you have thin skin, Gervais may not be your preferred Golden Globes host. But if you can stomach his sharp tongue and crass jokes, then you might be on the floor laughing throughout the entire three hour show.